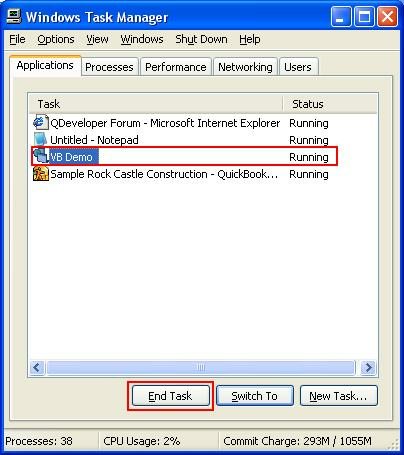 How to Stop any query on VBDEMO when it takes time. How to convert the date to QuickBooks date. I want to insert TxnDate in the ReceivePayment table, but it pops up the operator and operand error. I am looking for your early reply with thanks. You can stop query execution by clicking "Stop Query" from QODBC Icon on the system tray. 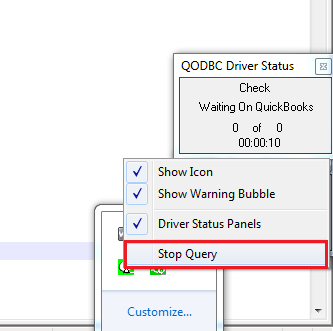 Right click on QODBC Icon in the system tray and click on "Stop Query" and 5 or 10 minutes.